NEW YORK (AP) — “Cats,” once Broadway’s longest-running show, will not be a “Memory” for long — the musical is coming back to New York. “Cats” was based on “Old Possum’s Book of Practical Cats,” a collection of poems by T.S. Eliot. It bid farewell to Broadway in 2000 after an almost 18-year run in a confetti-strewn final performance that ended up being No. 7,485. 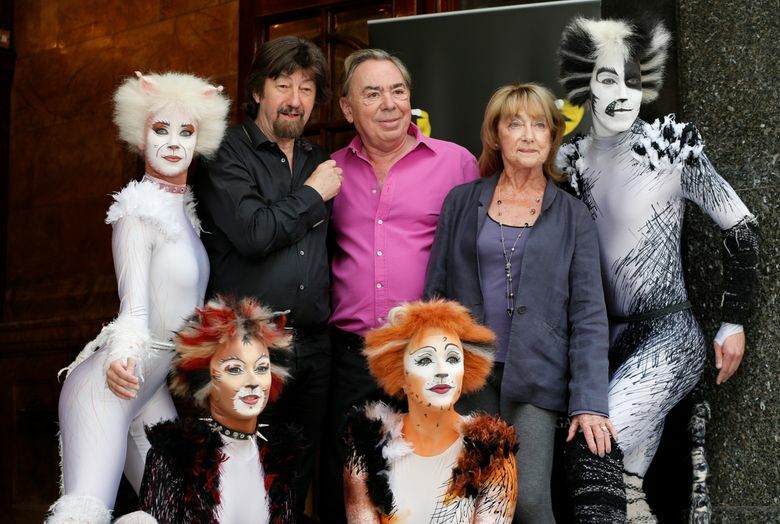 “Cats” was the first of the big British musicals with lavish settings and pop scores to invade Broadway in 1980s. It earned a fortune for Lloyd Webber and producer Cameron Mackintosh, who went on to bring “Les Miserables,” ”The Phantom of the Opera” and “Miss Saigon” to Broadway. “Cats” had its signature song in “Memory,” a plaintive plea sung by Grizabella, a once-elegant but now faded creature who, in the show’s opulent finale, is led to “the heavy-side layer,” a sort of cats’ version of heaven. The revival will likely join two other Lloyd Webber shows on Broadway — the new “School of Rock” and the unstoppable “The Phantom of the Opera.” The original “Cats” is the fourth longest running show in Broadway history. The new creative team will include Andy Blankenbuehler as choreographer, Natasha Katz as lighting designer and John Napier doing scenic and costume designs. No casting was announced. A revival of the show played London’s Palladium starting in 2014 in a revamped production with a hip-hop flavor.